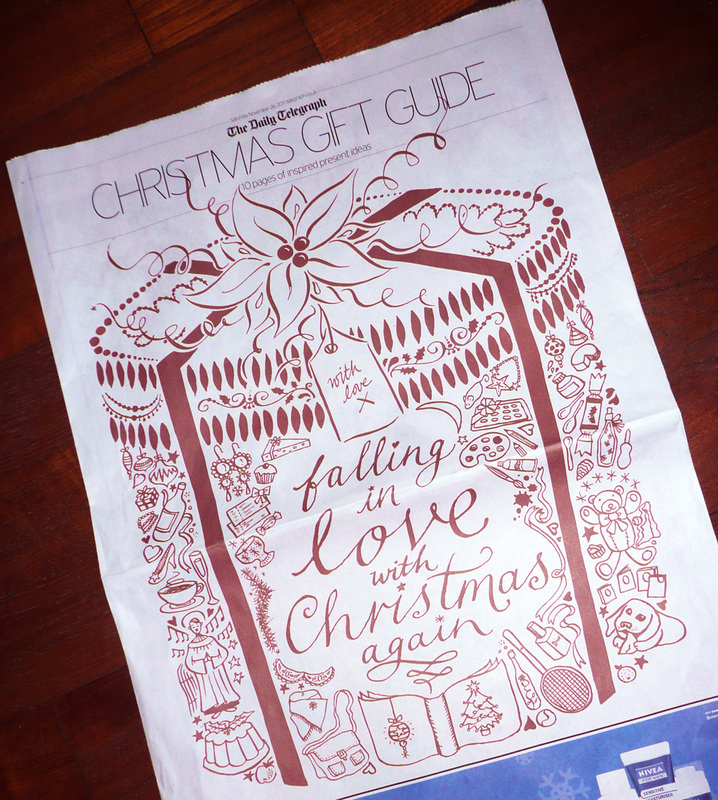 I drew this big Christmas present made of little Christmas presents for the Telegraph's weekend edition. It's one of the biggest editorial things I've done, size-wise, and was nice to see it enlarged, though if I'd known it was going to be so massive I would have added a few more details! I like it though. It got me in the mood for some jingle bells.